This package has ten (10) Photopolymer Stamps that includes Phrases & Tropical Leaves. 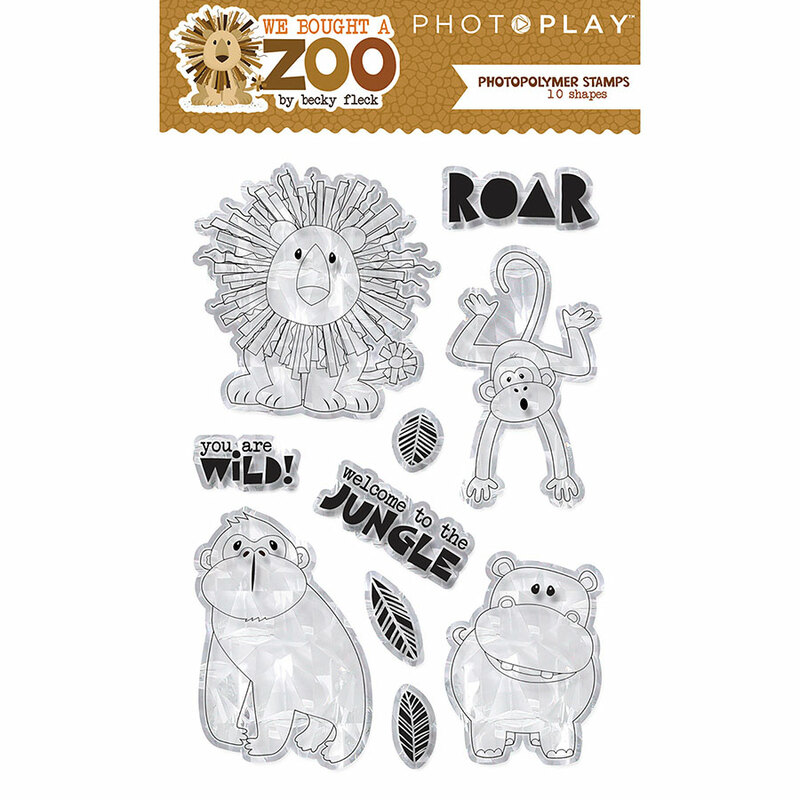 Perfect for any Project - Scrapbooking, Cardmaking, Party Favors, etc where your Theme or Memory is visiting your Local Zoo or maybe a Safari? Part of the We Bought a Zoo Collection by PhotoPlay Paper. Look for coordinating Etched Dies, Ephemera Die Cuts, 12x12 Sticker Sheet & Designer Papers.